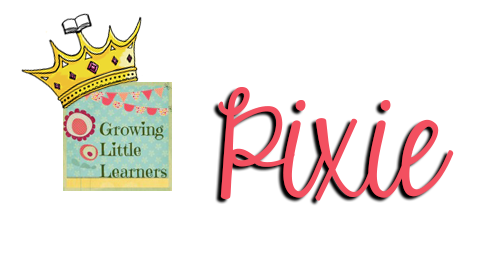 It's Pixie Anne from Growing Little Learners here today to share a short post with you on my favourite activity when teaching split digraphs in the classroom. 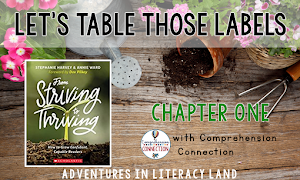 It's a short post because we still have 17 more teaching days left over here in the UK and I know you can all appreciate that overwhelming feeling of wondering how on earth you are going to fit in all that learning that still needs to be done; squeeze in all the other crazy one off activities that seem to crop up at this time of year; trying to prepare the class for the new school year and pack up your classroom at the same time! While there doesn't seem to be enough time left for all of those things, time is strangely going oh so slowly too... I've enjoyed my class a lot this year but I am ready for the term to end! 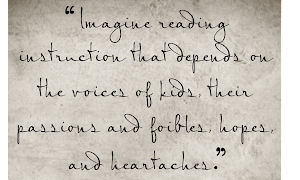 My little learners have done so well with their reading this year. I have seen HUGE improvements from every single child and am so proud of them all. 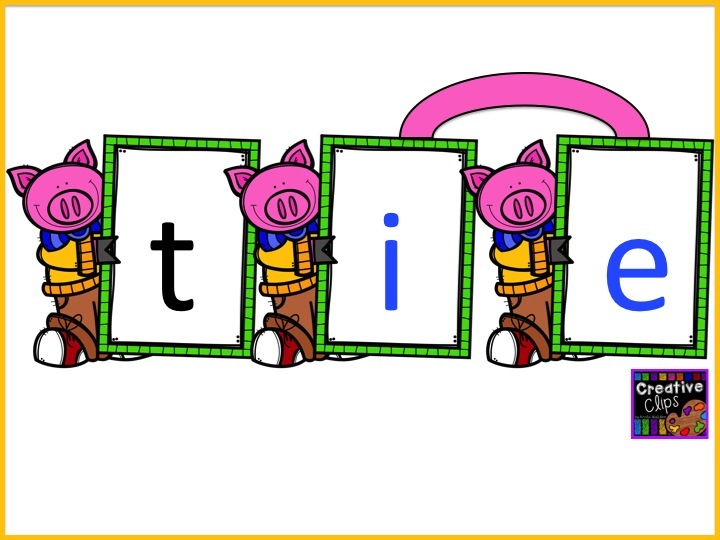 I can honestly say that (apart from the several new arrivals I have had in the last month) my whole class have a pretty solid understanding of their letters and sounds which is very different from previous years! 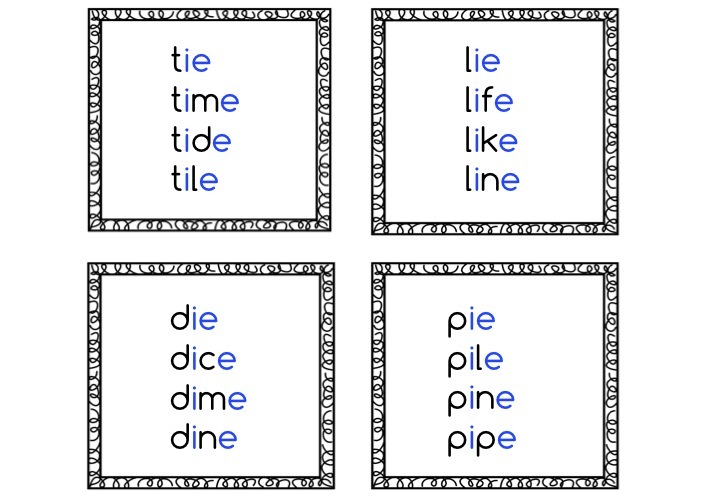 I hand out letter cards to at least half the class then ask them to come up to the front to build a word such as 'tie'. 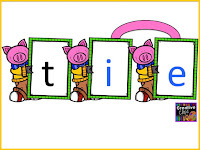 I make sure the children I have given the 'i' and 'e' too are friends so they won't mind holding hands to show that we know that those 2 letters together make the long vowel sound. 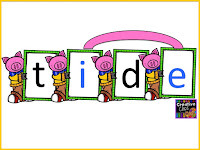 I then ask for a different word such as 'tide' to be made. 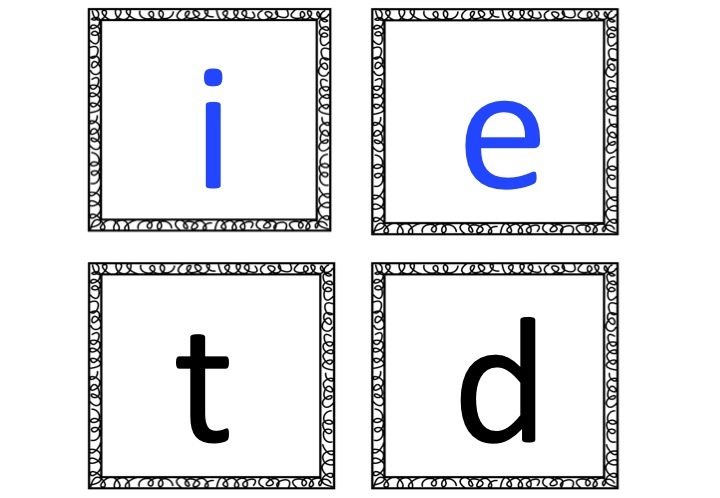 Chances are, if it our first encounter, the child holding the 'd' will place themselves at the end of the word. We discuss this and I thank the child for making such a brilliant mistake which we can all learn from and we move them to the correct position. 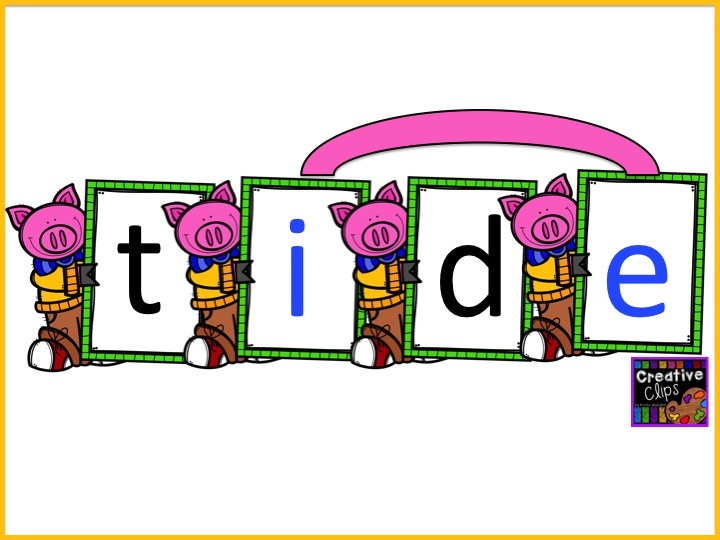 It is really powerful for those two children holding the 'i' and 'e' to still hold hands as they make space for the 'd' so we can see that while they are apart now, they still make the same sound! I ask other children if they are able to come up and make new words or call out specific words I would like built. 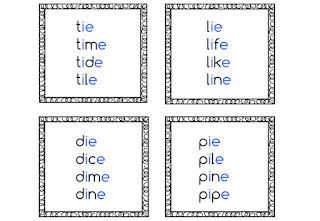 We repeat with a different starting word such as lie, die or pie. It's great to get the kids up and to use them as a resource rather than just using the interactive whiteboard or magnetic letters. It is a lot more engaging and memorable for them. 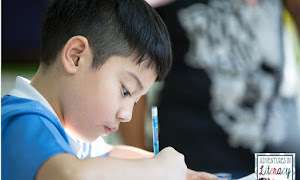 It's easy to prep (handwritten on paper works just as well as fancy cards) and generates a lot of discussion and peer assessment - are they in the correct place? Thumbs up or down! 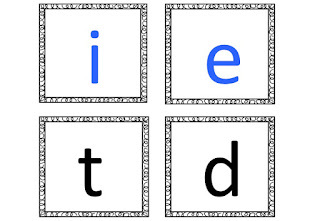 I have made a freebie for you based on the split digraph i-e so you can try it out (if you haven't used this idea before) in your classroom. 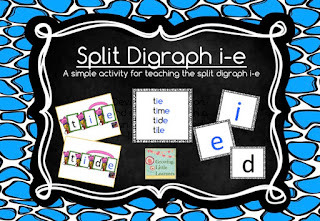 I'd love to hear how you teach split digraphs in your classroom so do please leave a comment below.